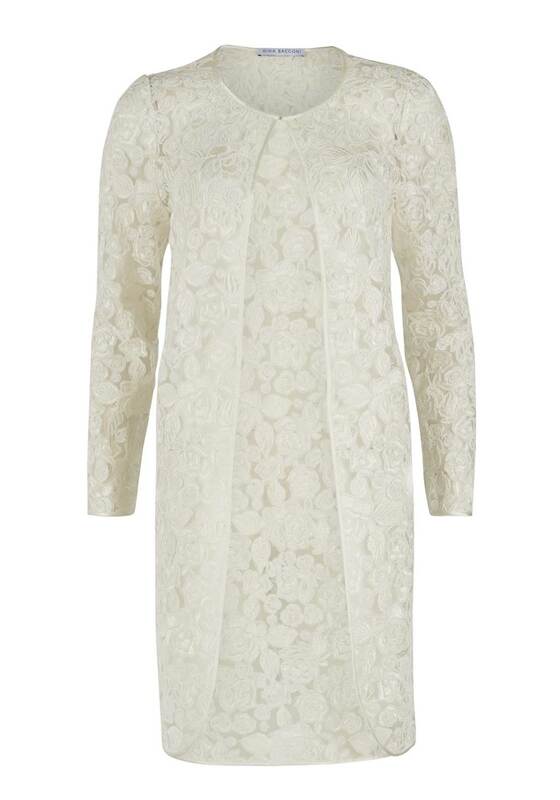 Presented in an elegant cream shade, this stunning coat from Gina Bacconi would be an excellent outer layer to add to a plain or printed dress to complete an occasion outfit. Designed with a figure fitting shape and made from delicate lace with a feminine floral print throughout. Other details include a concealed snap button placket and three quarter length sleeves.